Beautifully crafted in designer feel and look. 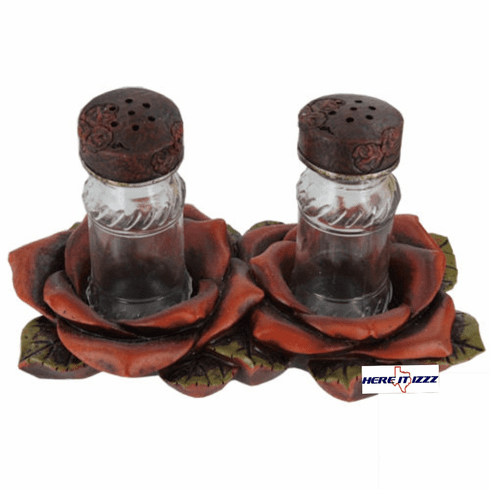 Vintage colors and Design in this rose salt and pepper holder. Crafted from molded polyresin it's easy to maintain and clean. Antique look salt and pepper shakers are refillable and included.